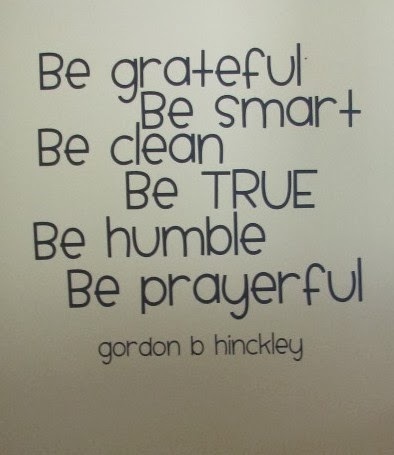 TELL the kids that Gordon B Hinckley gave a talk with counsel to help us all be better, happier people. Write 6 “Be’s” down a column on the board. Invite a child to choose a wordstrip. Ask the Primary how they can act like that word. (IE; “Grateful. How can you be grateful?”). Tape it up on the board next to a “Be”. Sing the song on the back. 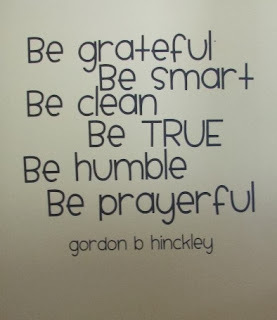 WRAP UP by paraphrasing what was said at the beginning and testifying that we can all try to BE our best every day with Gordon B. Hinkley’s six Be’s.